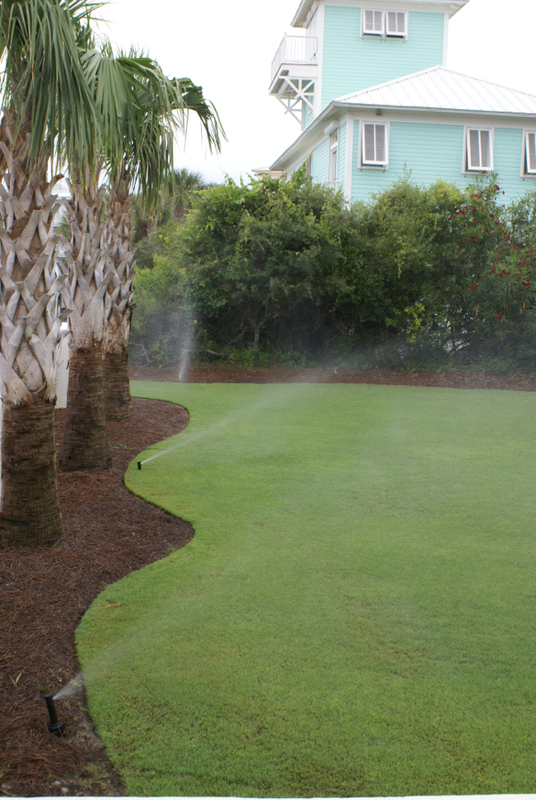 Proper watering is one of the most important components of maintaining a lush, healthy landscape, especially during Panama City and Sandestin’s hot summer months. When watering your entire landscape with a single sprinkler becomes too much work or simply isn’t enough, it may be time to go bigger — and when that happens, you can trust GreenEarth Landscape Services to fulfill your residential irrigation needs. Our irrigation installation pros will visit your home and assess every inch of your property to plan the most efficient residential irrigation system possible for your landscape, then we’ll work within your budget to install a comprehensive irrigation system to care for your lawn. After installation is complete, count on GreenEarth Landscape Services to provide continuing residential irrigation service, from spring system start-up and regular maintenance to last-minute emergency repairs. If your landscape already has an existing irrigation system, GreenEarth’s landscape professionals can perform a complete audit of the system and help you create a plan to repair, improve or maintain it. Ready to discuss your irrigation installation and service needs? You can reach our Panama City Beach office at(850) 236-1959 or our Santa Rosa Beach office at (850) 267-0010. Or, you can fill out our handy online form to schedule a free consultation. Download our helpful Landscape Planning Guide below to learn even more about how irrigation fits into the landscaping process.